The Uneek Premium T-shirt is made from a heavier, more hard wearing cotton and will look great even after numerous washes. Ideal T-shirt suitable to wear as workwear or casual everyday wear. The fabric is Enzyme washed for extra soft hand-feel and reduced shrinkage. Twin Needle Stitching on the neck, shoulders and hems. The shoulders are taped adding extra strength. 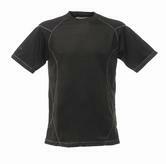 Base layer T Shirt with LifaStayDry Technology. No shoulder seams for extra comfort. Ribbed cuffs and ribbed neck with extended back. CAT ladies signature long sleeved top is comfortable and stylish. 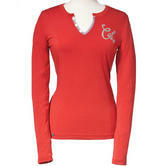 This garment has an embroidered CAT script logo on the chest, with a v-neck; and a metal logo rivet at the bottom hem. This top guarantees comfort and warmth whatever the weather. Quality, heavyweight t-shirt, designed with real attention to details. 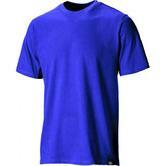 Caterpillar c15134 trademark t-shirt features a rib trim design with spandex for shape preservation. Logo design on sleeve and left chest. 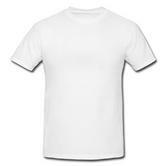 White unisex short sleeves 100% Cotton T-Shirt appeals for its durability and comfort. The Premium Short Sleeve T-Shirt are great Base layer to wear when the weather turns nasty, the new enhanced polyester weave is coated with an anti-bacterial finish which increases longevity and protects your skin when using this this type of skin contact workwear garment for long periods. Regatta has engineered these premium base layers to reduce irritation with your skin. This comfortable Long Sleeved Rugby Shirt from CAT features a two button contrast placket and a button collar. This Rugby Shirt comes in long sleeves with knitted cuffs and a wide strip across the chest. New styled work Caterpillar 1510266 Parallelogram T-Shirt is durable, comfortable and fashionable. Logo label at sleeve hem and Print on chest. Loop for headphones on back neck. Comfortable Crew neck and Tag-free Shirts. Portwest ever-popular t-shirt has been redesigned to deliver a stylish two tone version. This t-shirt combines the benefits of high comfort, easy care fabric along with additional practical colour blocking. Dickies Oxford Weave Short Sleeved Shirt is a classic style which is ideal for a variety of uses. Includes a lightweight poly-cotton fabric, front breast pocket and a full length button collar. A practical and durable uniform shirt made of hardwearing polycotton. Designed for corporate workwear and security staff. This Caterpillar CAT 1510008 Conquest Tee Shirt is designed to keep you cool, dry, and comfortable. Made from Bamboo carbon fabric and Moisture-wicking fabric. Includes Anti-odour treatment and Ultra-violet protection. More comfort with a Crew neck and Loop for headphones on back neck. The Sioen Trapani 2673A Thermal T-shirt comes with a ribbed collar. Using the unique seamless design and Stitched seams. 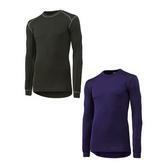 Round neck and the long sleeves to give the wearer additional warming and comfort. 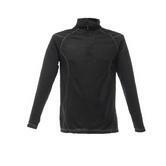 Material: Siofit Thermal wear: 50% Viloft - 50% Polyester/ ± 210 g/m2 (Interlock). Lay Flat Crew style collar keeps its shape wash after wash.
Full cut provides better fit and stay true to size. 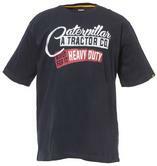 Get more out of your workwear wardrobe with Caterpillar 1510269 Heavy Duty Tee. Logo label at side seam and Print on chest. The Regatta Premium Long Sleeved Zip Neck Base Layer is made from enhanced polyester fabric with an anti-bacterial finish in order to enhance comfort and increase it longevity meaning you will save money not having to frequently replace them. This particular base layer is considered high performance work wear but it also works well for leisure pursuits including winter sports thanks to its very efficient thermal properties. 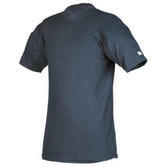 The Dickies Plain T-Shirt is an everyday essential item for a variety of workmen and professions. Get your company logo embroidered to complete the professional look. Two-toned modern fit strong quality Men T-shirt. Mascot 50567 Potsdam Short Sleeve T-shirt fabric: 60% cotton/40% polyester, 195g/m². Two-toned, pre-shrunk and strong quality long sleeve t-shirt. Round neck modern fit t-shirt with Anti-pilling fabric. 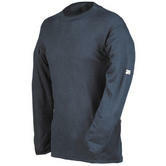 Mascot 50568 Bielefeld Long Sleeve T-shirt fabric: 60% cotton/40% polyester, 195g/m². Here at Northseaworkwear.com we only supply the best products from the best brands such as : Caterpillar, HellyHensen and Regatta. 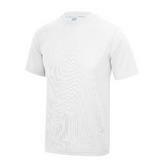 These T-shirts are ideal for anytime wear but are primarily worn under work wear. The specific materials used during construction provide maximum comfort to the users. 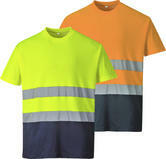 For example one of our most popular Work T-shirts the Caterpillar C1510158 is manufactured from 100% cotton and is very lightweight providing superior user comfort. 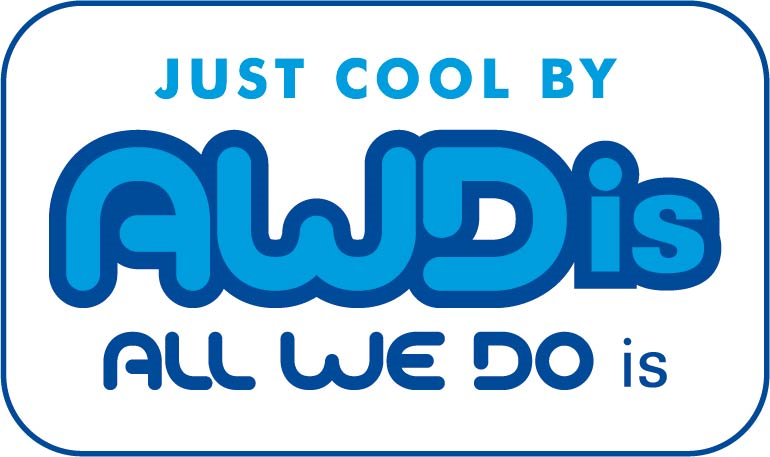 Other T-shirts like the Awdis Just Cool JC001 took a different approach with materials. 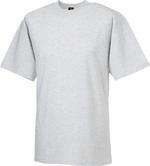 Manufactured from 100% polyester this Work t-shirt is comfortable and durable. Some of these t-shirts have plain designs allowing room for embroidered logos etc. Easy to wash, these shirts are essential to anybody who works outdoors or does physical work during the summer months. Made from high quality materials these shirts are stylish also.